TPC Overall Rank: #1 out of 2933 rides. In User Top 10: 94 times. I never thought the day would come when my favourite coaster in the park was a wooden coaster! (I later went to the great escape and found the same thing) it has crazy airtime, and the banks are out of this world. My experience on El Toro was a nightmare !!! At the very first drop I was lifted out of my seat and the lap bar no longer was restraining me securely in my seat ! However the lapbar was very secure and tight when the ride started...I held on for dear life, with both hands holding onto the left side of the car ! After returning home, I read on goggle that the lap bar may cause problems for older and larger people. It says that the lap bar may slip over them causing the ride to shut down for safety reason.... Ok so I am not that old and not that large,but not a petite woman either !!! And that lap bar slipped over me on the first drop and that ride never shut down, as stated it does for safety reasons !!!!! I prayed to God to not let me die on that coaster !!! I guess I should have said something when I got off the ride but I was so shaken, I think I was in shock !!! I will however contact Six Flags, New Jersey tomorrow and voice my concerns. I conguered Kindg Ka, Flew like Superman,had a blast on Bizarro, Loved the Green Lantern, and Batman was a breeze....But I think El Toro has safety issues that need to be addressed with the lap bars and need to be replaced with should restraints/rool bars ! I think this is an amazing rollercoaster. It's a fun experience throughout. I might sound Crazy, but i dont like this ride. with all the praise this coaster gets, it just doesnt click for me. the first thing i thought about this ride was that the air time and speed was too much. if your looking for the icing on the cake, look no further than the voyage at holiday world. also the ride was way too smooth. a wooden roller coaster should not be as smooth as it is. jerkiness is one of the main things that makes a traditional wooden coaster. 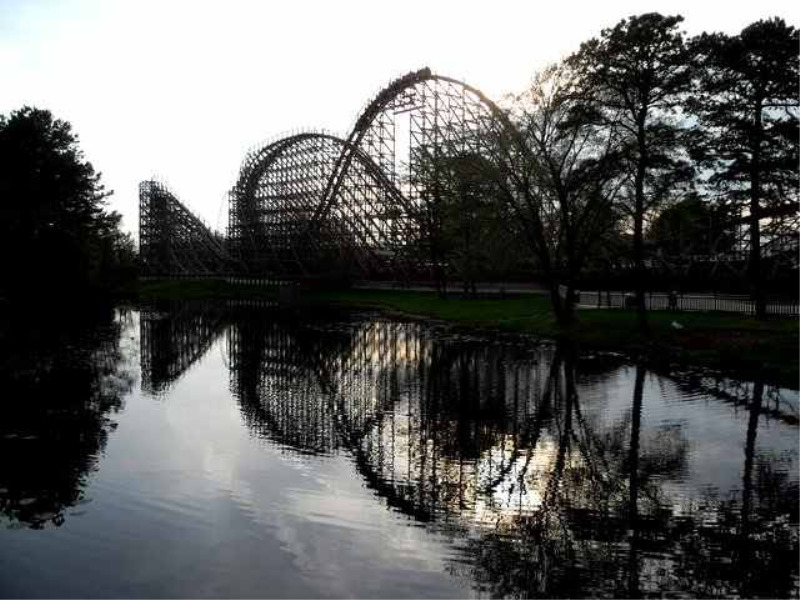 look at other favored coasters like raven, voyage, beast, son of beast (when open). a pre fab coaster also does not seem like it would be a traditional idea of a wooden coaster. el toro still has some pretty fast speeds that help the ride expierience a little. el toro may be one of the few things that are keeping six flags open.